This move-in ready home has a true mountain feel. The stone fireplace, pine beetle kill wood walls, and surrounding aspen grove provides a sense of mountain seclusion while still providing easy access for commuting. This home features an open concept floor plan with vaulted ceilings that lead to a spacious deck, perfect for entertaining both indoors and out. The updated kitchen has stainless steel appliances, a double oven, and a large island. The oversized windows throughout the home allows in an abundance of natural light and showcases the beautiful views. The master bedroom has a spacious sitting area, large bathroom, and sizeable closet with plenty of storage. There is even a private pond in your backyard! 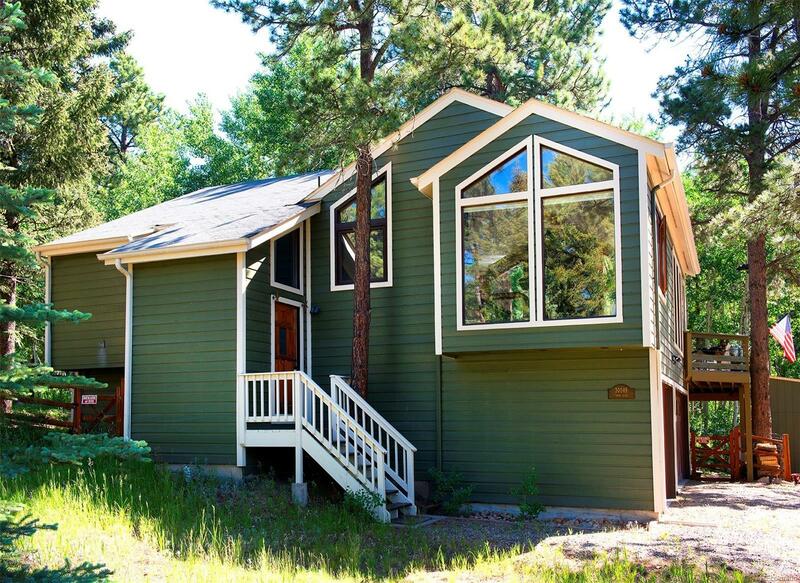 Donât miss out on owning this beautiful mountain home with a true Colorado ambiance.